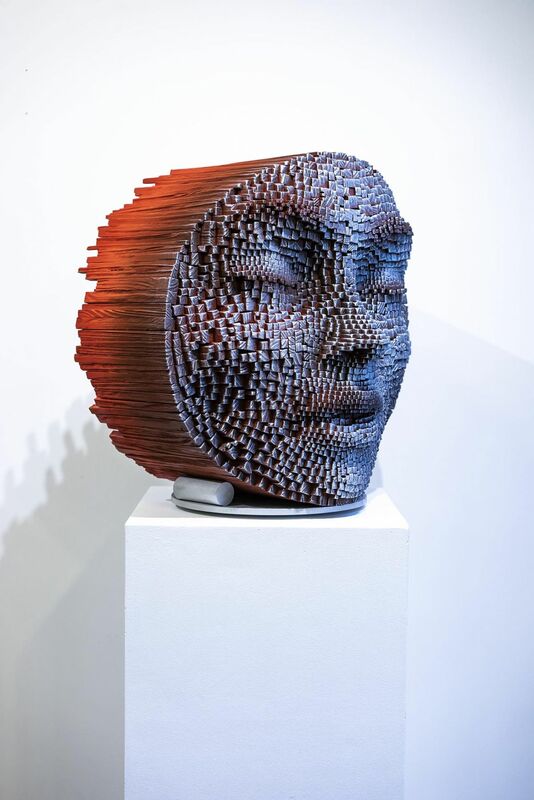 HEADS WILL TURN FOR GIL BRUVEL'S “BENDING THE LINES” @ LA ART SHOW MODERN & CONTEMPORARY, 2019. Wood. Paint. Meditative process. The latest series by Gil Bruvel has seen a shift in his artistic unmaterial of choice. This comes with no surprise from this innovative artist, who is consistently pushing his artwork to new heights. 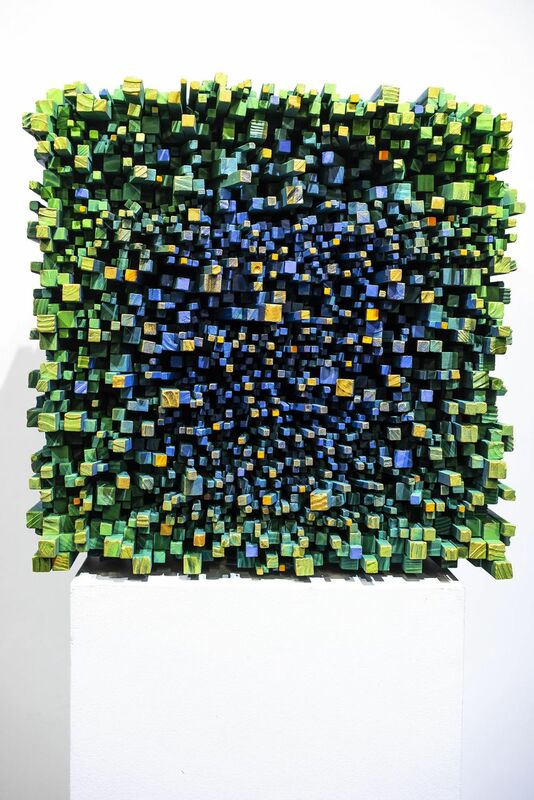 Containing large wall sculptures and pixelated forms, this series has been well received. 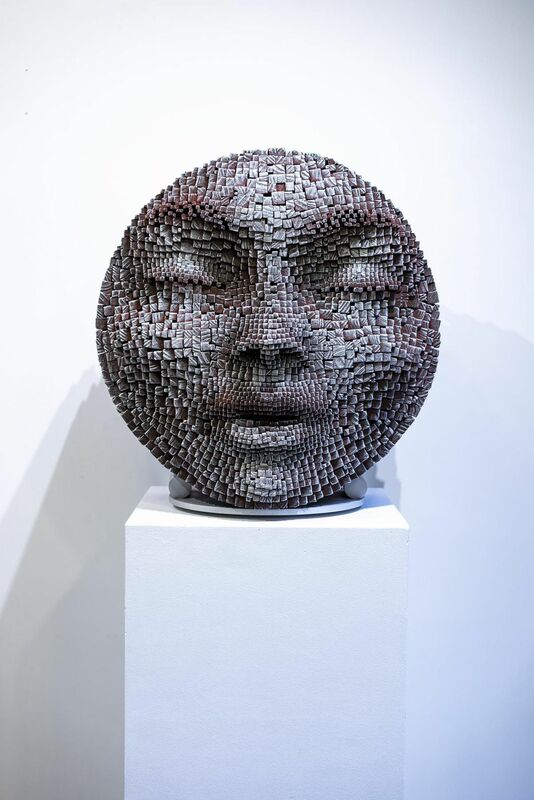 With his artistic representation by Frederic Got Gallery, this series was presented and sold at Art CONTEXT and Art MIAMI in December 2018 and the Palm Beach Modern and Contemporary in early January 2019. The individuality that exists within each artwork of Bending the Lines can be accredited to both the material and Bruvel’s precise hand. Taking lengths of straight lumber and splitting them into wood sticks ranging in size, a meticulous effort was made by Bruvel to create enthralling artworks of great topographical depth. 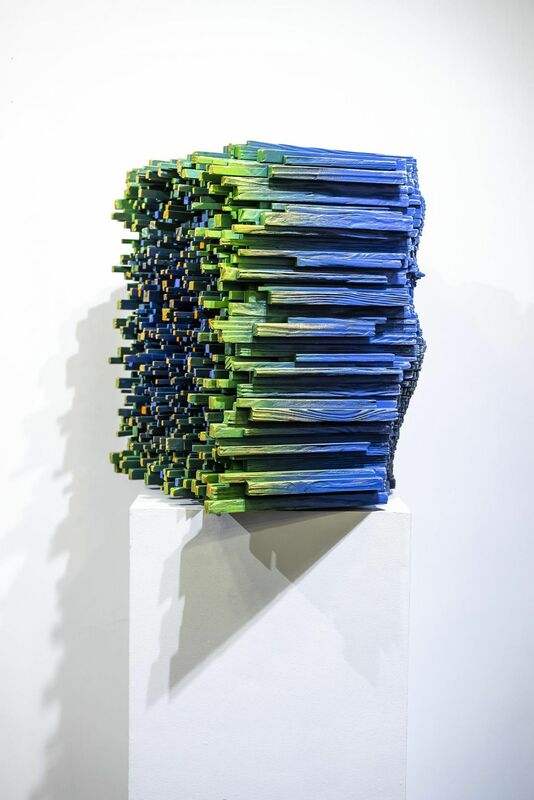 Branching from the inspiration utilized within his previous body of artwork, the Flow series, Bruvel began the Bending the Lines series with wall sculptures that embody the sensations of movement and the topographical pathways created by nature. 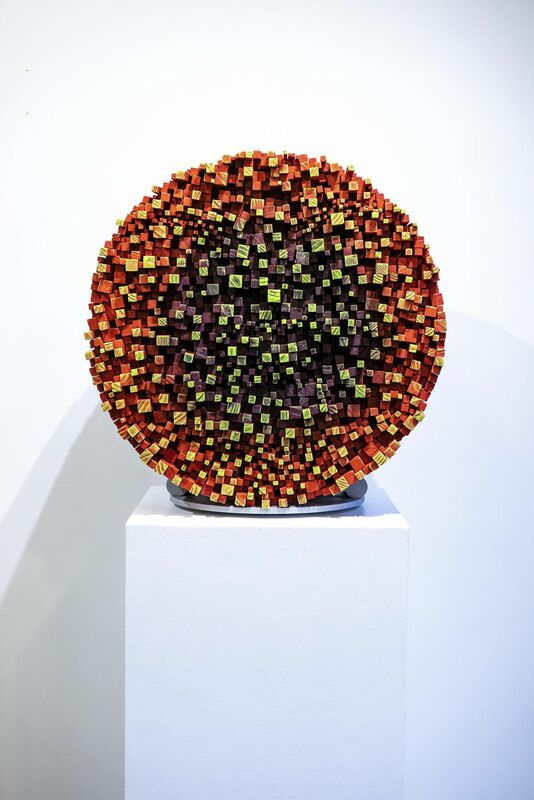 This ideology created the base from which these latest sculptures took root, but the artwork has grown strong as a static flux between color and form bursting from the frame. Bruvel pushed the depth of natural paths further, creating a visual of what is otherwise invisible to the naked human eye. The pixelated forms within the Bending the Lines series gives physicality to the dynamic between facial expression and the explosion of abstracted inner thought. These faces depict expressions of serenity and inner reflection, each purposefully structured into an example of meditative emotion. 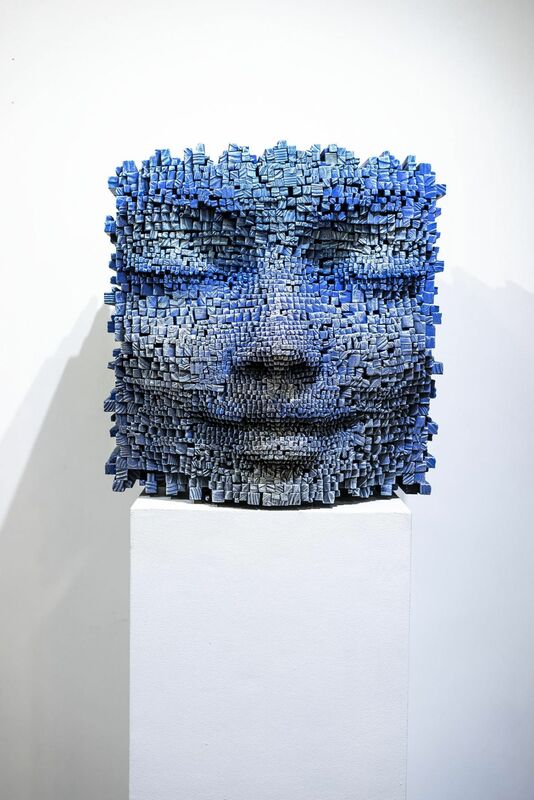 Mimicking the depths of the human psyche, the artworks can be experienced with a new perspective from each perceivable angle into the creases and shadows of the individual sculptures. These two different types of sculptures within the series focus on the movement created in their medium and form. 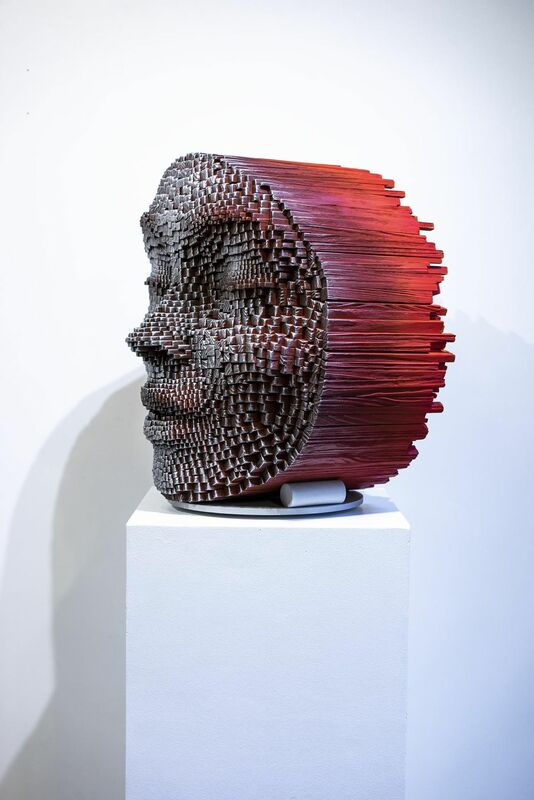 While Bruvel focuses his intuitive vision when he constructs these sculptures, the predetermined grooves within the wood has a mind of its own. Often unpredictable, the use of wood grants the artwork personality that cannot be replicated. 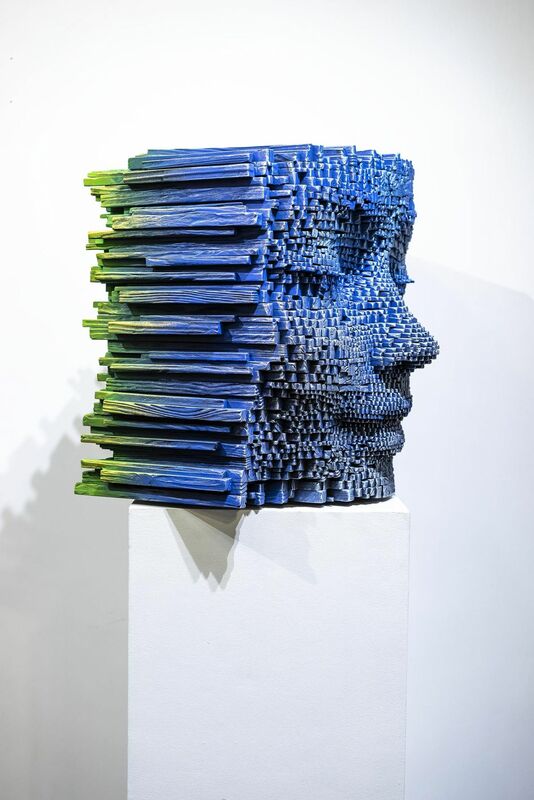 Upon the completion of the artworks structure and with countless paths and chasms in mind, Bruvel highlights all angles of these sculptures with a vibrant color palette unique to each.